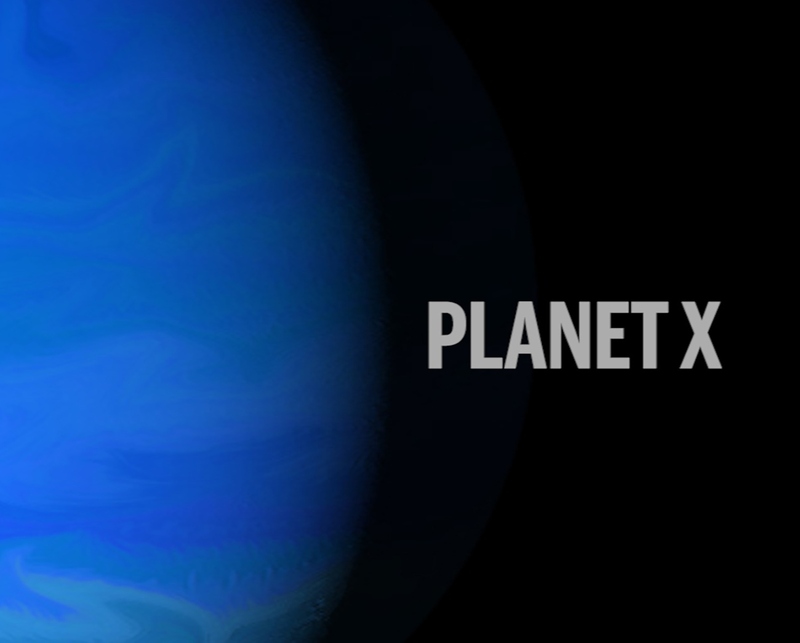 For so many years I had heard reports of a mysterious 9th or 10th planet in deep space (if you still count Pluto as a planet) commonly referred to as “Planet X” or “Niburu” (meaning the bright star of the crossing). Mainstream scientists and government agencies were quick to dismiss the possibility of this unknown planet as sheer “quackery.” But due to some recent findings, those same scientists are now having to eat a little crow. The new evidence comes from a pair of respected planetary scientists, Konstantin Batygin and Mike Brown of the California Institute of Technology (Caltech) in Pasadena, who prepared for the inevitable skepticism with detailed analyses of the orbits of other distant objects and months of computer simulations. Their findings point to data that something bigger than the size of Earth lurks in our outer solar system and its gravitational pull is affecting other planets and ultimately Earth weather. But without being able to clearly see this mysterious Planet X through a telescope, will the rest of the scientific community believe them? This blog is not another science article. I’ll leave that to the experts. I was more curious if, indeed, anything was out there and why so many countries in the world had suddenly started building large telescopes about 10 years ago to view our outer solar system. Even the Vatican invested in two large telescopes, one named Lucifer. Did they know something they weren’t telling us? Were they taking seriously the biblical prophecies about the 3,600 year return of the planet called Wormwood aka Planet X? This celestial “star” was said to have caused the pole shift that brought about the Great Flood and destroyed many civilizations as well as the dinosaurs centuries ago. 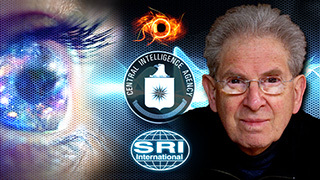 As a sometime remote viewer, who learned the art from Russell Targ who, along with Hal Puthoff, headed up the Stanford Research Institute’s (SRI) remote viewing program for the CIA’s Stargate Project, I knew it was time to take a look at Planet X for myself. In the past few years I’ve discovered some rather unexplainable and unusual objects in space while remote viewing that are clearly not “ours” (read Stargate Journeys and Consciousness Assisted Technology blogs). Sometimes you get a treasure trove of info and sometimes nothing. It was worth a shot, so I sat down meditated and sent my mind to the outer reaches of space looking for answers to the great mystery of Planet X. What did I find? Well, there is indeed a very large object out there. It’s not a planet, but it looks and behaves much like a planet. I felt immediately dizzy-headed upon approaching it. There is a magnetic gravitational flux that feels both expelling and contracting at the same time. I’ll let the scientists figure out what this all means, but there is also a deep resonant sound vibration you can feel, which made me aware that this planet-like object felt both alive and teeming internally with life. Sometimes when remote viewing with your mind, there is an all-knowing feeling. Telepathic awareness kicks in. I knew then that the object was really a mammoth planetary space vehicle, despite its outward barren appearance. While this totally surprised me, it also sparked my intense interest. I zeroed in on its interior. It was hollowed out, vast, beyond the size of several large cities and multi-layered. I found myself inexplicably drawn to a large chamber where I saw giant human-like beings—12-15 feet in stature. Several of these beings had red hair. I was aware that I had poked in during a rather heated discussion. Immediately I felt a sudden sharp mental push as if I had been discovered and psychically kicked out. But the odd thing is that whoever had mentally pushed me out, had left a mental imprint behind that contained a myriad of images and thoughts which I was able to glean some information from. Planet X is not a Galactic Federation spaceship, as might be seen in a Star Wars movie. I got a strong “No” when I mentally inquired. This is an “ancestor” ship. I call it this because this race of beings inside have been around longer than prehistoric man on Earth and they are not strangers to our planet. They know all about us and once walked our lands. I got the impression that they don’t think very highly of us. Despite this, there appears to be factions of their race that are in disagreement about the best way to interact with Earth humans. The interesting thing is that they find themselves in a dilemma. Many of their kind see us as a threat to their survival, much as we would see them to ours. They, like us, are also on an evolutionary path with regard to service to self vs. service to others. There are those of their race that want to help us while others want to destroy us to save themselves. It’s clearly a karmic dilemma, and it appears we on Earth are going through the same soul learning process. This is why are paths are destined to intersect. It appears that their planet-like spaceship somehow got locked into a strange orbit (due to an explosion with some other planet a very long time ago) that doesn’t always allow full control of their vehicle’s trajectory. As their orbit comes closer to Earth they know they will be bombarded by the same gravitational pull that Earth is bound to also experience by coming into close proximity to them. Some on-board fear annihilation unless they take aggressive action. Others disagree. While they appear to have smaller space vehicles that can exit their planetary vehicle at any time, they don’t want to be trapped on Earth. Sound fantastic? I thought so, too, but these are the impressions I received. Whether they are accurate, is yet to be determined. I encourage other remote viewers to see what they pick up as well. Who really knows if our two worlds will eventually collide. So many have predicted this would happen in 2003, then again in 2012, and now in 2016. It hasn’t happened yet, and perhaps it never will, but awareness that we are not alone in the universe is definitely increasing. The visibility of Planet X will eventually be evident in the skies to all, in time, as it orbits closer. Some believe this is why the CIA recently released some of their UFO files, preparing for Disclosure. Perhaps Planet X’s ultimate purpose in revealing itself is to awaken us to our true past. The future is still being written, so I will not get into spreading additional fear about what will or will not occur. There’s enough fear in the world already and even if we were on a crash course with Planet X, not much either side can do about it, so just enjoy life now. What I find more fascinating is that it appears these beings brought early life to this planet. They are our ancestors. Are they the Annunaki race the ancient Sumerian texts refer as the celestial Gods from the sky who were masters of DNA and genetic manipulation? Planet X was once big news in the mainstream media in the early 1980’s, then suddenly all mention of it disappeared. Those who mentioned it were quickly ridiculed, which tells us they must have been too close to the truth. I like to think that everything in the universe is subject to change, and everything is right on schedule. Now, at last, appears to be the right time to take a second look at Planet X.
I think this is another alternate reality in which those who vibrate to it will experience or fall into it. There are many!! Also not being able to perceive it reminds me of the natives who could not see Magellian’s Ship. Only the priest could see it but the natives had no concept of such a thing. “Life on The Causal Plane” book says it is like a huge invisible plant in our Solar System very near to our earth, that is like an earth but not perceived by physical humans at this time until we vibrate into the this dimension. i always knew ginger people were aliens. Very Interesting, thanks for sharing your viewing with us. With regard to the CalTech scientists, I find it odd that astronomers have always scoffed at astrologers because the latter base their readings on the effects planets have on us and our solar system as they move through their orbits, yet these two CalTech dudes (in whom I have zero faith) claim the only way they know there is a planet in the neighborhood is because of its effects on other planets. See the duality game playing out here? Throw that in the bucket with the fact that astrologers still plot the course of Pluto in their calculations, while the two CalTech guys say “No Pluto,” yet NASA has images of Pluto all over the web. To me NASA and these so-called scientists are spreading confusion and disinformation to hide something and the truth lies somewhere else, perhaps with you! The object that was just discovered is NOT Planet X (Nibiru, etc) It is true that they knew about the red planet (actually a brown dwarf) in the 80s, but this red sphere is has now gone under us and around the sun and is heading out at an angle over us. We will see it when it pops up over the ecliptic, big and red in the sky. Then come the weather issues, probably meteors also that were being dragged along by the extreme gravitational pull of a very dense planetoid. You could not see it for a long time, maybe not even now, as it is only visible by infrared until it gets close enough to see with the naked eye. There is a lot of confusion about this. Look for it either by summer this year or spring the next (2017). Very astute observation. Planet X seems to be the archetype of worst fears in the collective unconscious of humanity. Collective amnesia puts up a mental firewall against such cataclysmic imperil. I’ve talked with two contactees who have direct experience with off-planet tracking of PX. Both reference poleshift.ning.com as a good source on PX. Seldon Nidle is a long-time contactee who gave the best PX update I’ve heard in an interview on GalacticConnection.com this last week. He explains why we shouldn’t worry about the PX fly-bye. Very good viewing! Planet X was what began my cosmic journey in the late 90’s and I learnt then or a few years later that Nibiru was a hollowed out planet-spaceship and that it could go off-course/orbit for peace-keeping missions. The navigators are the Annunaki, having achieved immortality. 2016 Year of the Fire Monkey – A Year of Political Revolution? The Mysterious Black Knight Satellite – Who Really Owns It?